When you are looking for a way to improve the interior of your home, lighting experts can help you develop a unique look and style for your indoor lighting. We’re an old city, and as such we have a wide variety of architectural styles in our Hartford homes. Lighting mounts play a huge role in the unique style of the space: practical and yet reflecting the unique sensibilities of the room they’re in. Here’s a quick look at some of the different types of indoor lighting mounts. Flushed and semi-flushed. Flushed lights are mounted directly up against the ceiling or wall, while semi-flush light fixtures are hung slightly below the ceiling (usually 4 to 8 inches). Both of them are valued for their flexibility that allows them to be installed nearly anywhere, even places with low ceilings. Recessed lighting. Recessed lighting plants the mounts directly into the wall of the ceiling, so that the light doesn’t extend past the plane of the mount itself. Like flushed lighting mounts, recessed mounts work very well for rooms with small ceilings. Track lighting. Track lighting mounts a number of similar lights on a single track which you often see in bathrooms above the sink. They can be used to illuminate an entire area, or to provide a single fixed light directed at a piece of art or similar object of note. Pendant Lights. Pendant lights hang from a chain or similar line, providing an elegant and stylish look for rooms with high ceilings. They include chandeliers, which are heavy and elaborate, and require a great deal of effort to install. In exchange, they provide a one-of-a-kind impression. Once you’re familiar with some of the different types of indoor lighting mounts, the next step is to determine which one is right for your project or home. 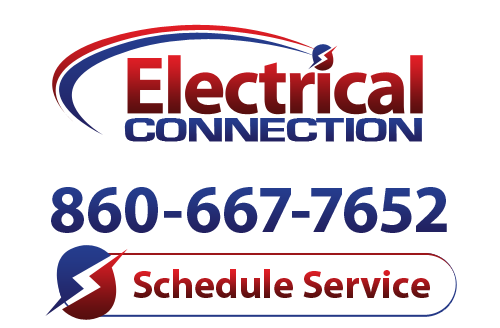 The experts at Electrical Connection Inc. have the knowledge and expertise to mount your indoor lighting for you. Give us a call today to learn more about our Hartford lighting services.